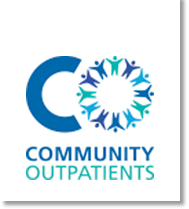 Community Outpatients are a leading provider of community healthcare services on behalf of the NHS. With over 40 consultant-led services delivered across the UK, Community Outpatients offers fast access to care close to home. We are experienced in delivering convenient, high quality healthcare for patients, significant cost savings for commissioners and innovative solutions for both primary and secondary care. Our services are flexible to the particular requirements of the CCG or Hospital and its local health economy, continuously looking for new and innovative ways of delivering high quality, convenient care and cost effective solutions. I would like to thank you on behalf of my team and patients for the service you provide us, our patients and community. We are very pleased with the outcomes and hope we can continue this in the future. This is, quite frankly, world class service, and I congratulate you.